I found Erin Olsen's blog a long time ago now and I receive the feed every day. I still get excited everytime I see it in my inbox. 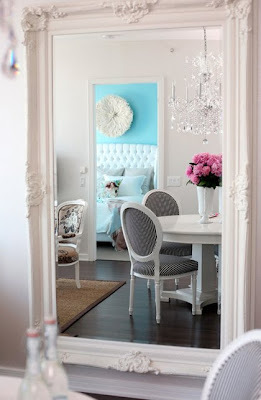 This painted mirror is just so beautiful. There is a similar one at my local antique dealer in a horrible burnt golden colour. A Schlack of paint and it could be this!!! Wonder if it will fit in my car! 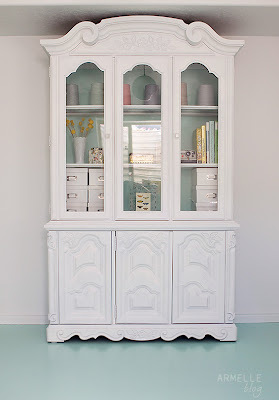 This armoire is sheer genius!! 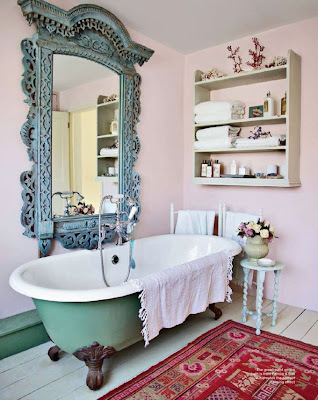 I LOVE the Manuel Canovas wallpaper and that floor colour is DIVINE!! Anyone have the name? I have a yellowish sideboard with similar detail. I might just tackle it next week! My husband says "don't stand too still for too long kids or you might get painted white!!!! 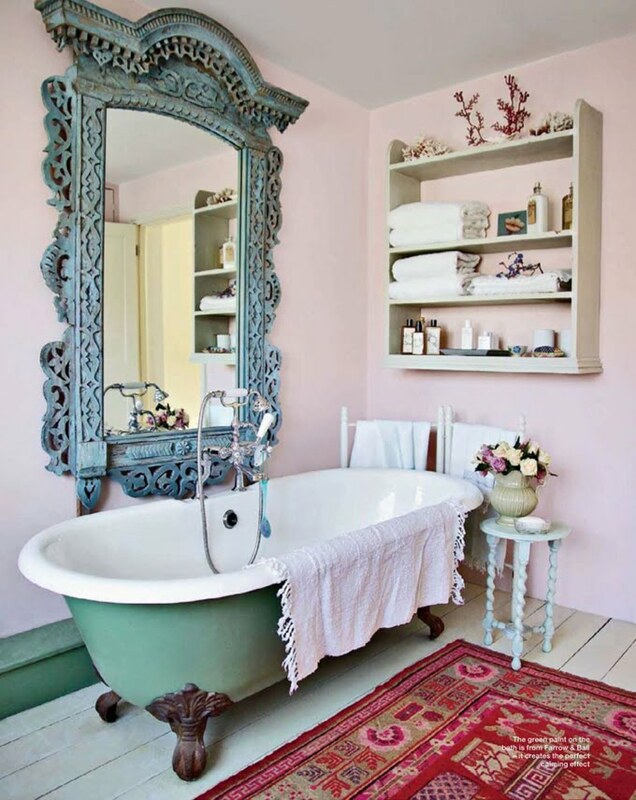 The mix of this pale pink wall colour and the green bath is so inspired. That rug!! 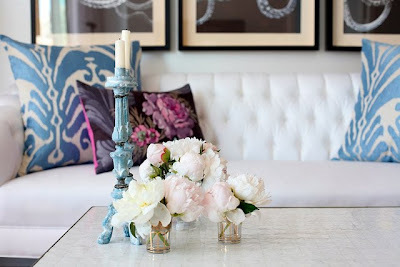 I need that rug!! I want to be in this room. ALONE! with a cup of tea and a magazine!! Thanks Erin Olsen! You're the best!